Fleet Managers, Is It the Right Time to Grow Your Fleet? If the evolving freight market is serving up business you can’t accept because you simply don’t have the fleet capacity or type of vehicle required to haul it, expansion may be the best option. An increase in certain types of loads may require more—or different—trucks and trailers than you’ve utilized in the past. To meet whatever the market demands, fleet expansion may include upgrading versatility by adding curtainside trailers that can do double-duty hauling flatbed loads or standard freight that requires an enclosed van. A small firm may be in a less advantageous position to say no when a certain load is a losing proposition, profit-wise. If you find yourself chasing cheap freight simply because your overall volume is so low due to the limited size and capacity of your fleet, you might want to expand to open up new possibilities that allow you to say yes to work with higher profit potential. The modest bottom line of a small fleet may not be sufficient to indefinitely finance increasing maintenance and safety requirements. If outdated, high-mileage trucks or other equipment are being retained because profits aren’t sufficient to replace them, you may be reaching a tipping point where the recurrent cost of increased fuel consumption and frequent repairs is no longer supportable on current income. Regulations such as the Compliance, Safety, and Accountability (CSA) initiative also impose extra costs that may be especially financially burdensome for a small fleet. 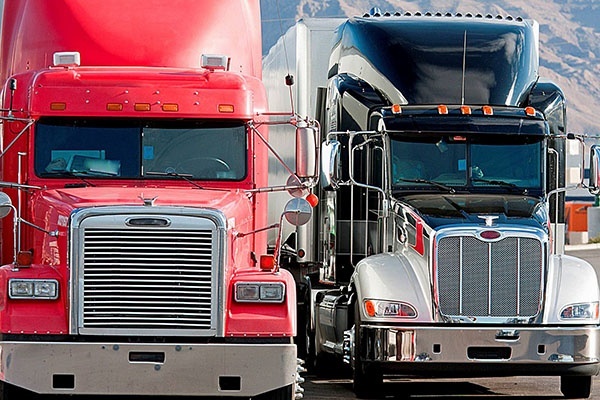 A larger fleet provides the cash flow to replace worn-out vehicles on-time, stay up to date with fuel efficiency and absorb the expenses of compliance with safety and other regulations. Larger successful fleets generally have an easier time getting financing at favorable rates versus smaller fleets of five or ten trucks. The failure rate of small fleets is considerably higher and banks and other sources of financing are more cautious in extending loans and more likely to impose higher interest. If you’ve proved yourself with a smaller fleet, now may be the time to expand in order to access better terms in the future. Make no mistake: the driver shortage affects all fleets, large or small. However, the larger fleets generally have an advantage in the form of a higher profile to draw more qualified drivers and the budget to better afford attractive perks like sign-on bonuses and better benefits packages. Why Should Fleet Managers Use Curtainside Trailers?